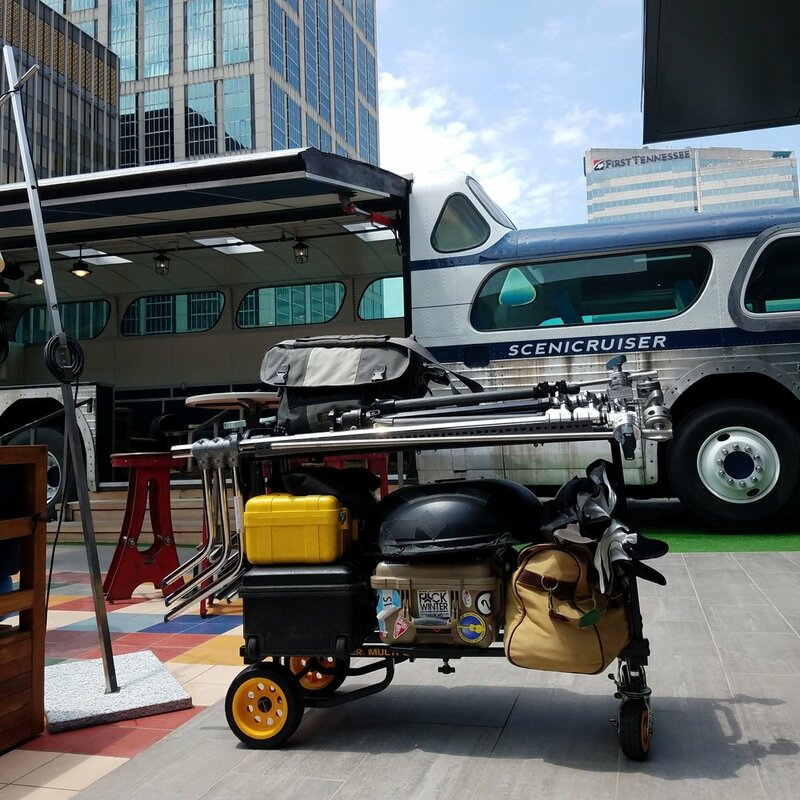 My Multi Cart R6G on location in Nashville, TN. Getting the gear out of your hands and onto a rolling platform lets you have less strain on your body. Wheels were an amazing invention. My Multi Cart R6G set up on location as a tether cart. We hauled all of that gear in from the car in just 1 trip! 2. Get it all in one trip- because taking 5 trips back and forth to the car waste time and energy. You can get everything all in one trip. I personally dislike leaving my gear unattended in a restaurant or other public place. The grip cart makes you more efficient. Get in, get out and get the job done. 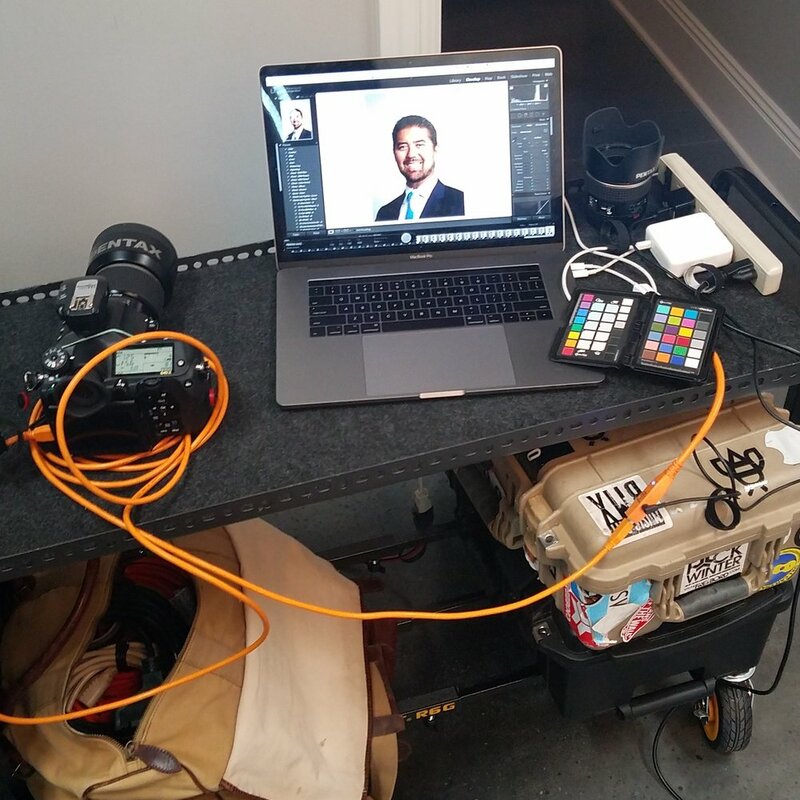 My cart about the wheel in a ton of equipment for a headshot session. We have 2 Pelican Cases, 50lbs of sand, 2 c-stands, 1 grip bag, 1 PLM, 1 collapsible beauty dish, and a laptop bag. Get it in just 1 trip! 3. 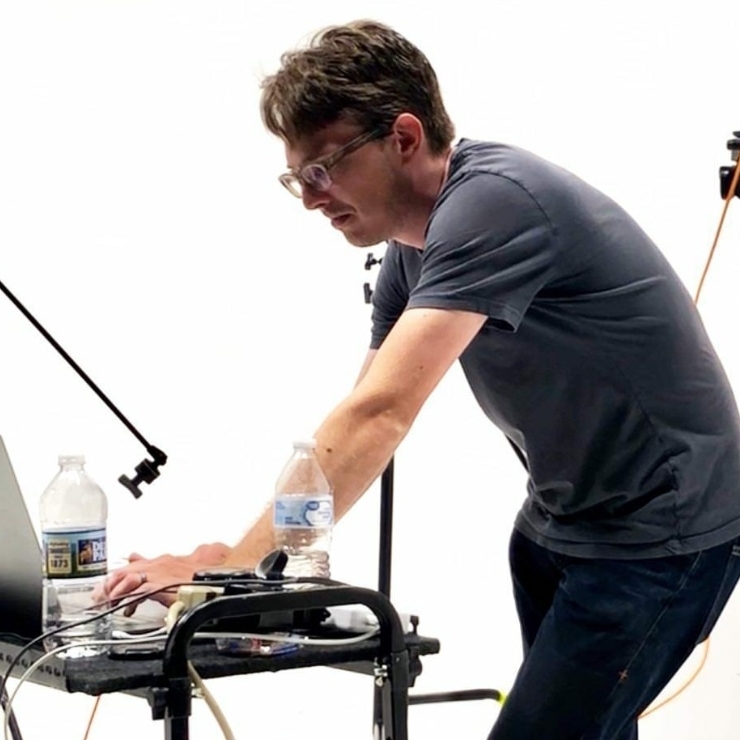 A great platform to place a laptop for tethering- I use my cart as a tether station and have side rails that I added so that my laptop stays in place. My Multi Cart R6G being used on location as a tether cart. You can also see my Paul C Buff DigiBee Bee 800, 2 Paul C Buff Alien Bee 800s, and a beauty dish that is mounted to another Paul C Buff Einstein. Below the top Shelf you can see that I have all of my gear that I am not using stored out of the way. 4. Keeps your stuff out of the way on set- I stack all of my equipment bags and cases on the bottom of my grip cart after I have set up so that everything is nice and neat. You don't want a client tripping over your gear. Me looking like a boss working on my Multi Cart R6G. 5. It makes you look more professional- Flat out it just is great production value when you are on location. I have had tons of compliments about how much more professional it is than hauling all the gear in by hand. Like I mentioned above about getting it all in one trip part of being a professional is being efficient and any productivity benefit will help you out. My grip cart of choice is the Multi-Cart R6G with the top shelf. Now I do have a lot of complaints about the Multi-Cart, but for the money and compared to the competition it is the best thing on the market. I love Inovativ carts, but I just don't have the room to haul one in my SUV, nor do I want to spend that type of money. 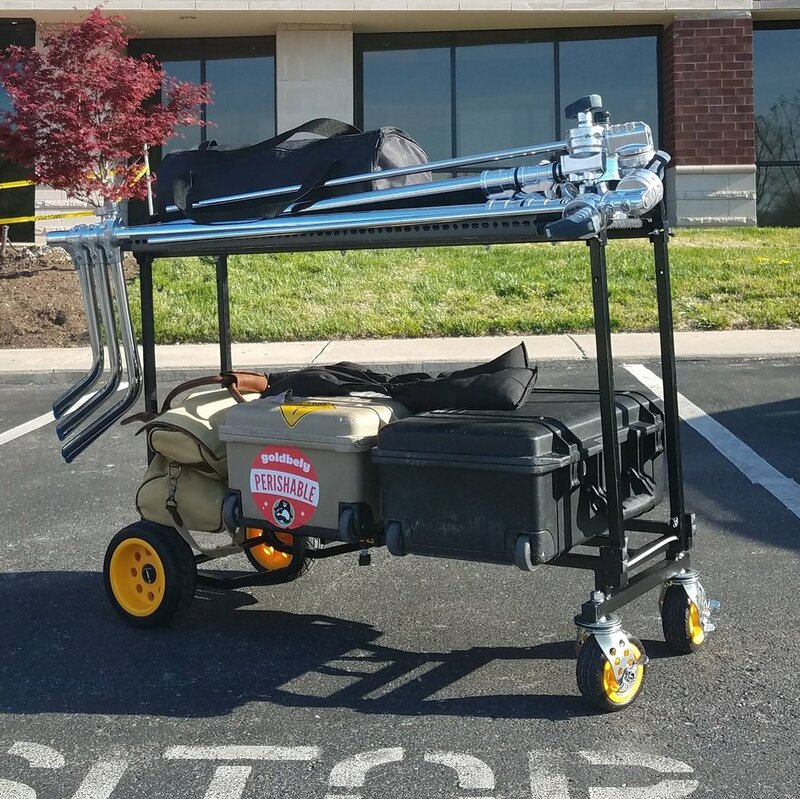 So there you have it 5 reasons why you need a grip cart in your kit. I don't have any relationship with Multi-Cart and won't be posting an affiliate link. A grip cart is probably my number 1 purchase of 2018. I honestly don't know how I went over 10 years without one. I work faster and more efficiently now that I have a grip cart. So go out and get a grip cart! My Multi Cart R6G set up at a clients office for a headshot session. The cart was super valuable here because we did head shots in each of the partners offices, and then on a white seamless and then group shots in the “bullpen” having a mobile cart here was a game changer for productivity. I did a quick video about the R6G that you can see here. Let me know in the comments what your favorite grip cart is. Nick Bumgardner is a food and beverage photographer based in Nashville, TN.